Retailers kicked off their 2017 holiday shopping by navigating the massive Trim exhibit at the convention. They experienced a wide range of festive trends. Indoor planograms rolled out three brand new designs: Home for the Holidays, North Woods Lodge and Snowy Nature. 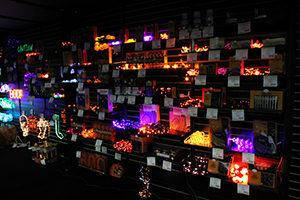 Lighted decorations saw an increased expansion into LED and laser projection technology. 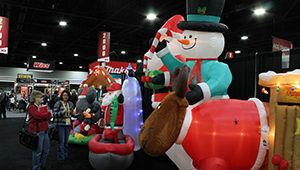 Inflatables spanned every holiday from Halloween to Christmas. 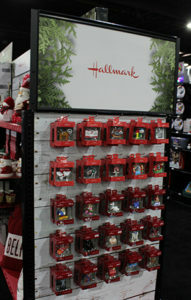 Featured Hallmark items included decorative plaques, pillows, ornaments and more. An arrangement of National Lampoon’s Christmas Vacation themed products debuted as an Ace exclusive. Traditional Christmas trees and foliage decked the halls, along with pre-lit and voice-activated models. Approximately 70 percent of consumers decorate their homes for the holidays, spending an average of $80 on new decorations each year. This is something you can’t afford to sit out on. Even after markdowns, this category still delivers a gross margin of 34 percent in just six to eight weeks of selling season. All Holiday and Trim offers are available through April 17. View the catalog and place your order now!